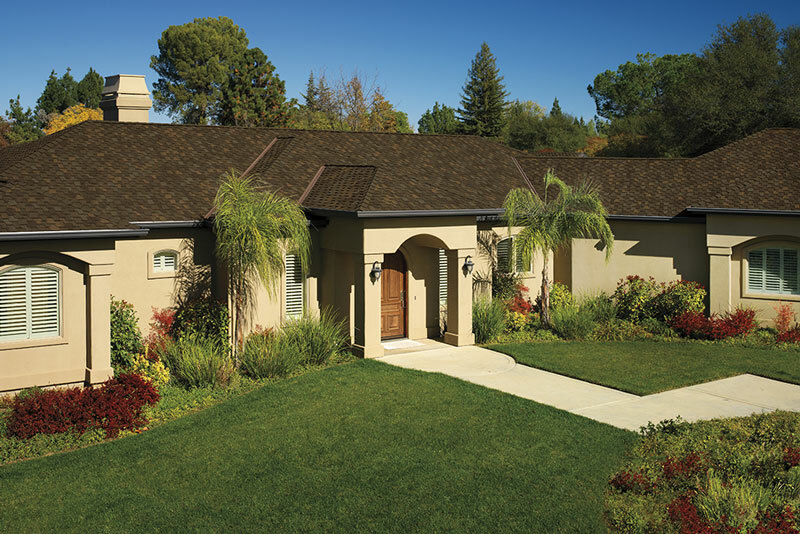 Asphalt Shingle Roofing - San Diego Roofing Inc.
20-50+year warranty, depending on type installed. New developments in the roofing industry have seen the rise of architectural shingles, which use two layers to create an eye-appealing visual effect on sloped roofs. What is Asphalt Shingle Roofing? 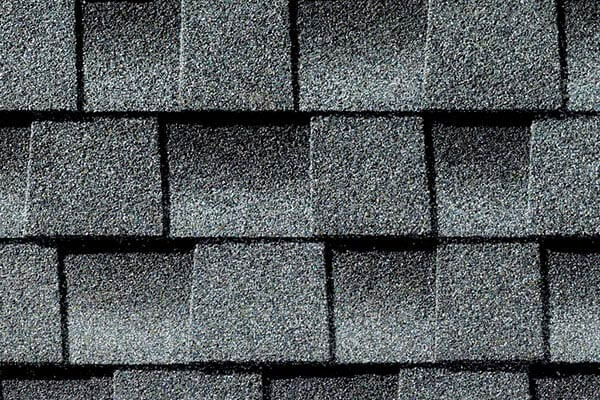 Asphalt shingles are made with an organic paper base or fiberglass mat base (for reinforcement) that is saturated with asphalt for waterproofing. The shingles are then covered with ceramic granules to protect the asphalt from the sun’s UV rays, and also to add visual appeal (the ceramic granules give shingles their visual color). 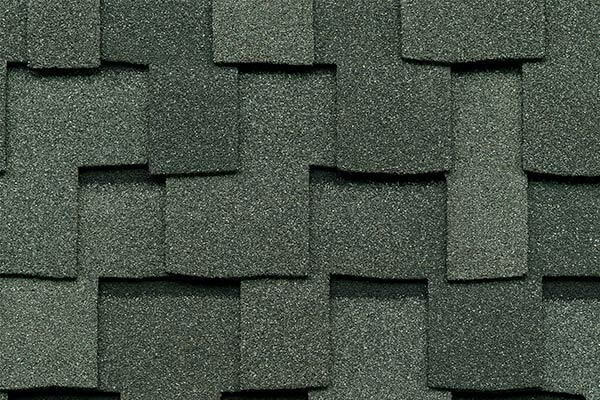 Although organic shingles contain the name organic, that is only due to the recycled paper material used. 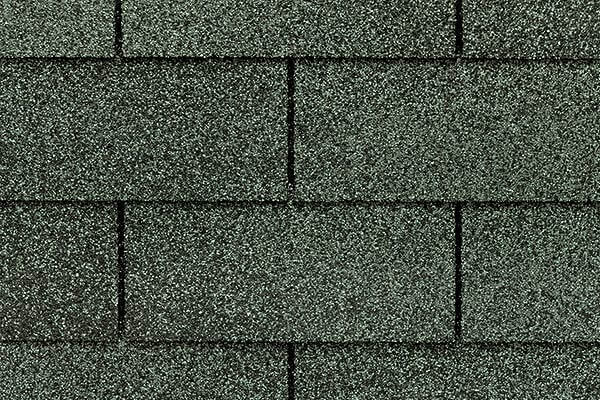 Organic shingles contain around 40% more asphalt than their glass fiber counterpart. This makes them weigh more and gives them excellent durability and blow-off resistance. 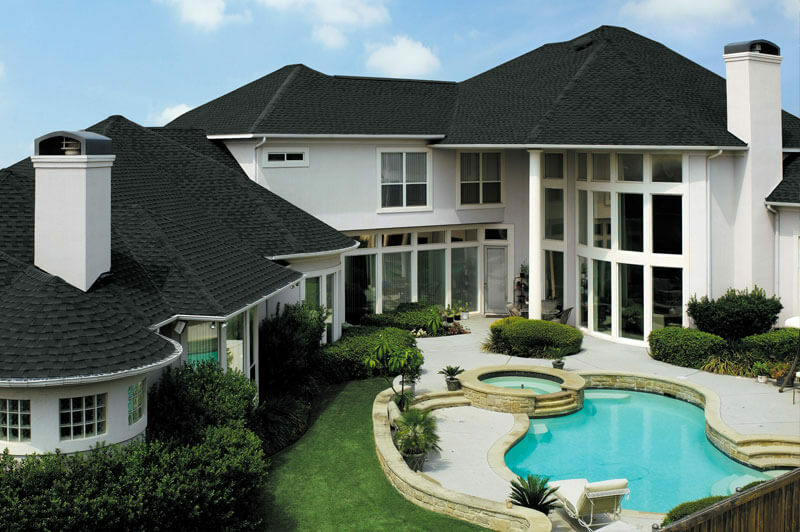 There are three different types of asphalt shingle roofs – 3 Tab, Laminated, and Premium. 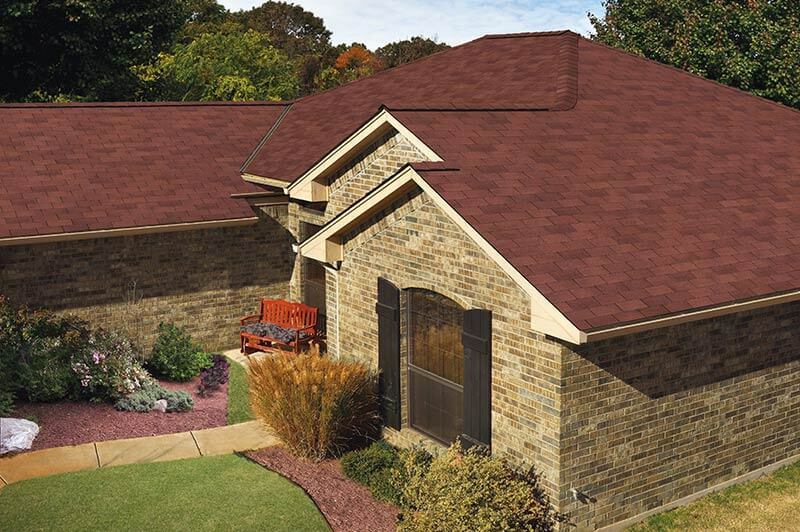 3 Tab shingles are an economical choice, meet all general roofing and fire resistance standards, and come in a variety of shades and colors to match your homes styles. 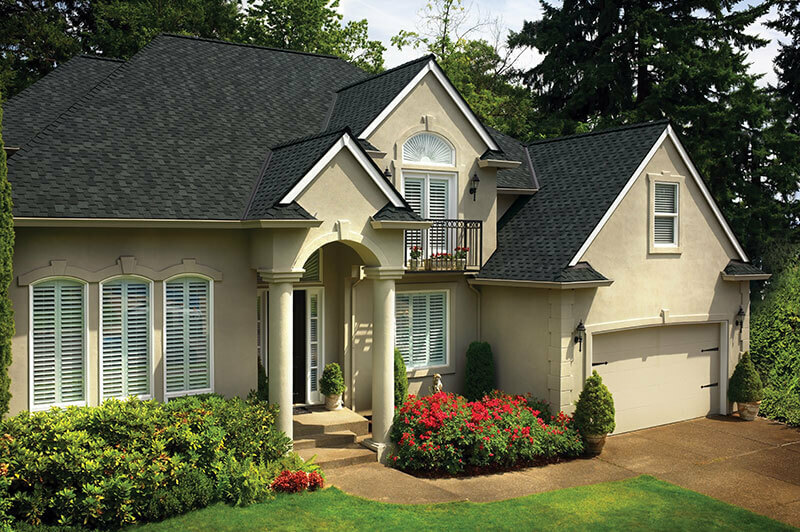 3 Tab shingle roofing usually comes with a 20-25 year warranty. Laminated shingles have an additional layer of tabs that make the shingles thicker and give them a more dimensional look to your roof than a 3 Tab shingle would. Laminated shingle roofing has a warranty for 30, 40, and 50 years. There are many manufacturers of asphalt shingles. Each manufacturer offers comparable styles, colors, and warranties. At San Diego Roofing, we have experience installing all brands and types of asphalt shingles available on the market today. At San Diego Roofing, the manufacturers we highly recommend and use for the majority of our projects are GAF, OWENS CORNING, ATLAS, and MALARKEY. Interested in installing asphalt shingles on your roof? Request a FREE estimate today, we’ll be happy to discuss the best options for your project!